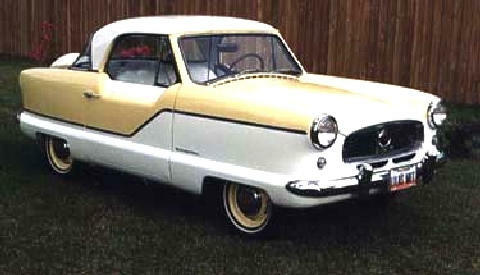 The bodies were built by Pininfarina and the cars were assembled by Austin in the United Kingdom using mechanical parts from the Austin 40. The engine was a 1,200 cc overhead valve unit that produced 43 bhp. When the British Motor Corporation, of which Austin was part, brought out a 1,500 cc engine, this was also available for the Metropolitan. The three-seater car could be ordered as fixed-head coupe or convertible. The external appearance remained virtually unchanged during the year the car was built, though the models that left the Longbridge works after 1959 could be recognised by the boot lid or lid to the trunk. Earlier versions had no way in for luggage except via the back seat. The small car was never a tremendous success since it was far too unusual for its time and the average American preferred a "real" car.